Someone I met on the road a few years ago said she wasn’t sure if I was simply naïve or just bold travelling all alone with my rather ‘unfit for the job’ car in the remote Patagonia, needless to say without any technical knowledge. I never really thought about the answer. I don’t consider myself very naïve nor extremely bold, neither outrageously adventurous. But then again, for some brushing their teeth outdoors is pretty exuberant. What to others may seem like extreme, heroic, hazardous, stupendous or stupid, for me is natural. I don’t give it much thought, it’s who I am: old and smart enough to know that my common sense, no-nonsense attitude, perseverance and humor will save my day, and me, in the end. 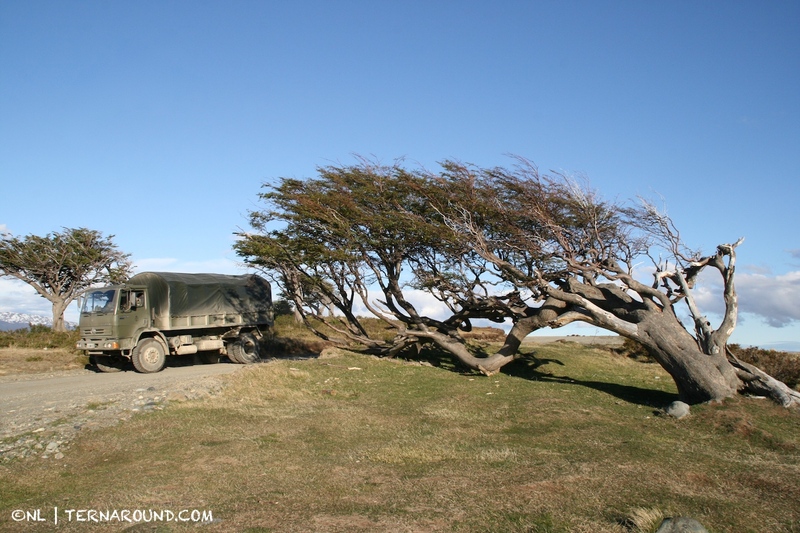 The power of Patagonian winds. This blog is meant to share my personal and authentic experiences travelling this region that I love. It will give you an idea of the many options for roadtripping, (hitch)hiking and adventure in Patagonia and Tierra del Fuego – and yes, around the world too – based on true experiences. My advice and suggestions are purely personal, based on what works for me, and intended to help you make your choices. I don’t set the rules for what is essential, healthy, safe or sane to do. I do what I love to do, I trust my senses and take 100% responsibility for my choices. Yes, I take risks, I go where others won’t go, I do stupid things and I make mistakes. Yet I never regret anything. I learn, and do it all again. That too is part of who I am. 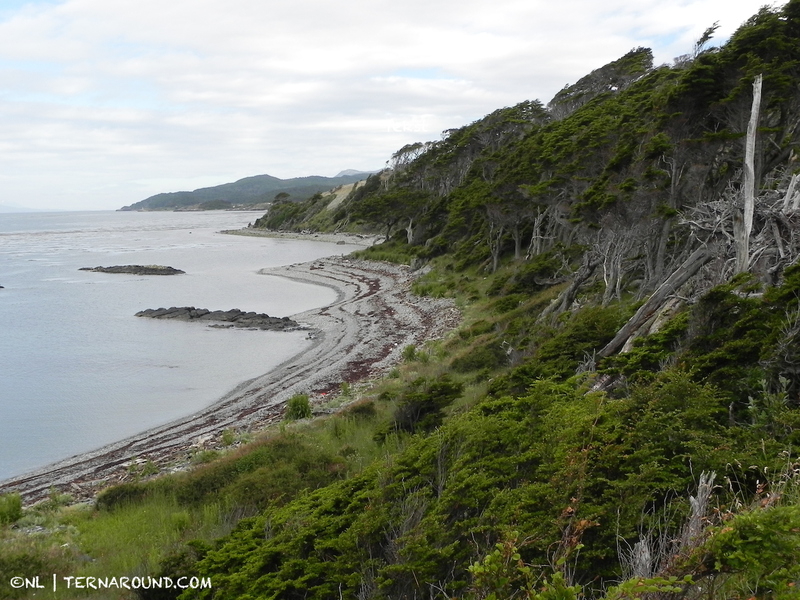 A wild forest along a wild coast along the Beagle Channel. What I’m trying to say here is that I am just an overly interested, broadly experienced (Patagonia) traveller, not your professional or official guide. I won’t take responsibility for if, how and to what extent you choose to take my itineraries into account. Always take the necessary preparations for whatever trip or hike you’re planning to undertake. Buy a good road and trekking map, get your information from official guides or authorities, follow their rules and restrictions, take responsibility and mostly use your common sense. That way you’re most likely to stay out of trouble, which is the idea. I just wish to inspire you to travel and explore, to go where the road takes you, with an open mind and without expectations. I wish to inspire you to see and enjoy what is right there and to live every moment. And maybe too, to find yourself somewhere along the road. Happy travels! 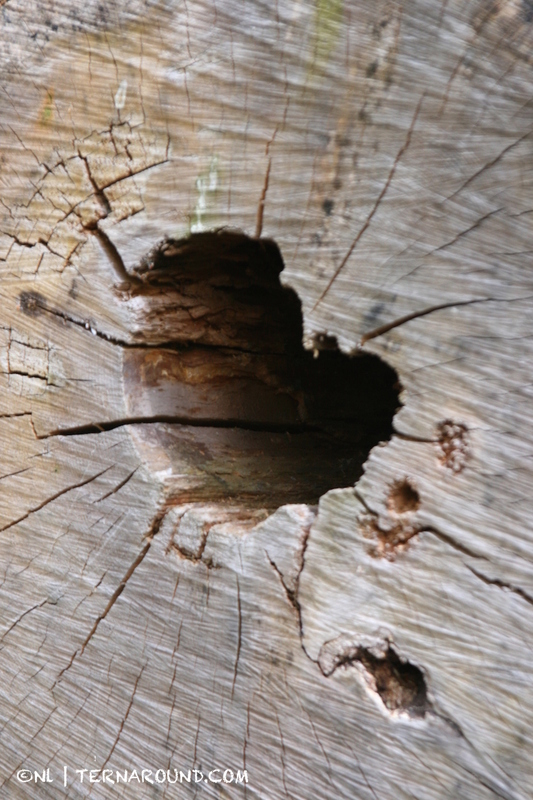 The beauty of a dead trunk. This entry was posted in (Hitch)hiking, Roadtripping and tagged hiking, Patagonia, road trip, that's life. Bookmark the permalink.